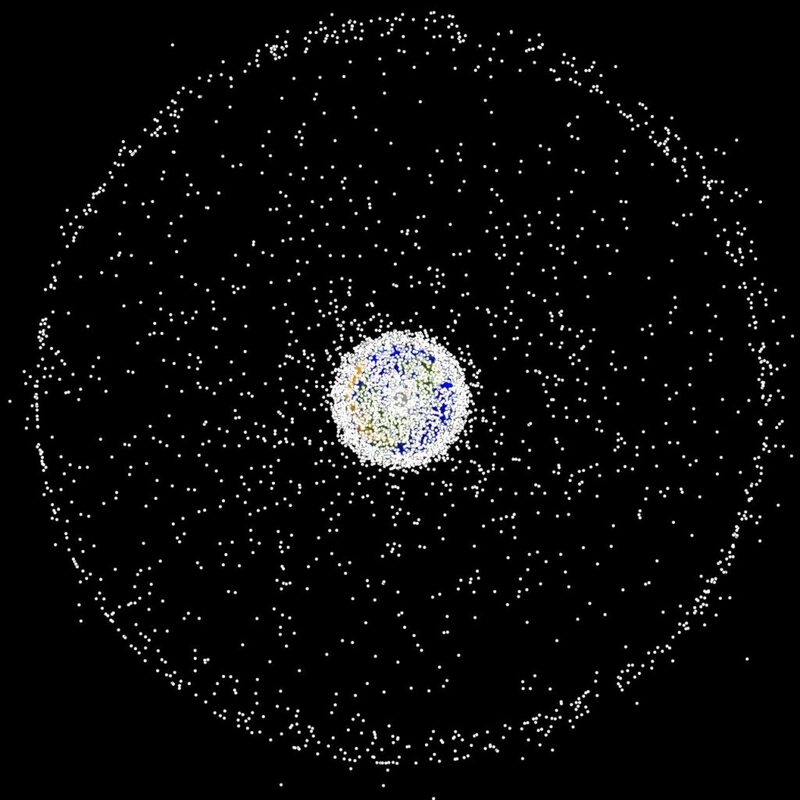 Where humans go, we leave trash — and that includes space, too. In fact, space junk is a growing problem that threatens to one day make it impossible to launch things beyond Earth’s atmosphere if we don’t do something about it. In a bid to clean our orbit, scientists have experimented with a device that harpoons a net and targets space debris to capture it. It apparently is as awesome as it sounds, seeing how the test was reportedly successful — with live video to back it up. Since we began sending satellites into space in the late 1950s, we’ve been leaving behind trash with every launch. Every major world power has contributed to this growing space junk problem, with China in the lead most recently. In 2007, some Chinese general had the bright idea to actually test an anti-satellite missile in the field — that is, in Earth’s low-orbit. When China used this test to destroy their own Fengyun-1C weather satellite, the event was one of the worst single contributors to orbital debris, creating some 3,300 fragments. NASA is monitoring some of the biggest pieces of junk out there, including approximately 20,000 objects as big or bigger than a baseball and 50,000 objects as big as a marble. Smaller pieces of debris, however, are virtually undetectable right now, but NASA estimates there are millions of objects that are 50 microns to 1 millimeter in diameter. That might not seem like such a big deal but consider that these tiny debris travel at 17,500 miles per hour. At these velocities, even an object with a tiny mass can exert a powerful kinetic energy capable of significant damage upon impact. Yes, the horrific scenes from Gravity are extremely plausible and astronauts stationed at the International Space Station are well aware of this when they’re sometimes ordered to man the escape pods. The waiting is not very pleasant at all, to say the least. Space debris plot. Image credits NASA. In order to clean Earth’s orbit of space junk, scientists have proposed all sorts of solutions, some wackier than others. The Japanese Kounotori 6 can tether space junk with electromagnetic forces. Astroscale, a Japanese startup, plans to launch a satellite called ELSA-1 that will track debris and stick to it with glue. 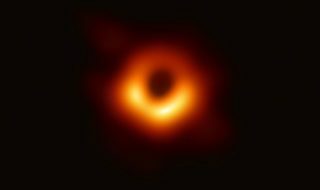 Other ideas are even wilder, like using lasers to vaporize the surfaces of small junk pieces, forming miniature thrusters to force debris down towards the atmosphere. One recent project that the European Space Agency (ESA) is currently working on involves using powerful magnetic beams from a chaser satellite to nudge redundant satellites out of orbit. RemoveDEBRIS, a project developed by British researchers at the University of Surrey, is another space janitorial project — and one of the most promising ones to boot. In June, the cube-shaped satellite was recently launched towards the ISS aboard a SpaceX Dragon capsule. It was later released from the station via the robotic arm Canadarm2. On 16 September, the 100-kilogram satellite was actually tested in real-life conditions after it used a net to capture a deployed target simulating space debris. The object actually moved faster than expected, but the harpooned net was nevertheless able to catch up with it, as you can witness in the embedded footage below. The ensnared debris, along with the net itself, will eventually fall into the Earth’s atmosphere where it will burn up before it can do any damage to those in space. This isn’t a crack on a car’s windshield, but 7-mm chip in diameter in one of the windows of the ISS’ Cupola — the dreamy vantage point which astronauts use to take amazing pictures. It was caused by “possibly a paint flake or small metal fragment no bigger than a few thousandths of a millimetre across,” ESA wrote. Credit: ESA. The net consists of ultra-lightweight polyethylene Dyneema, typically used to make mountaineering ropes. Six weights attached to the net, which are actually small motors, helped it to expand to a full size of 5 m (16 feet) across. 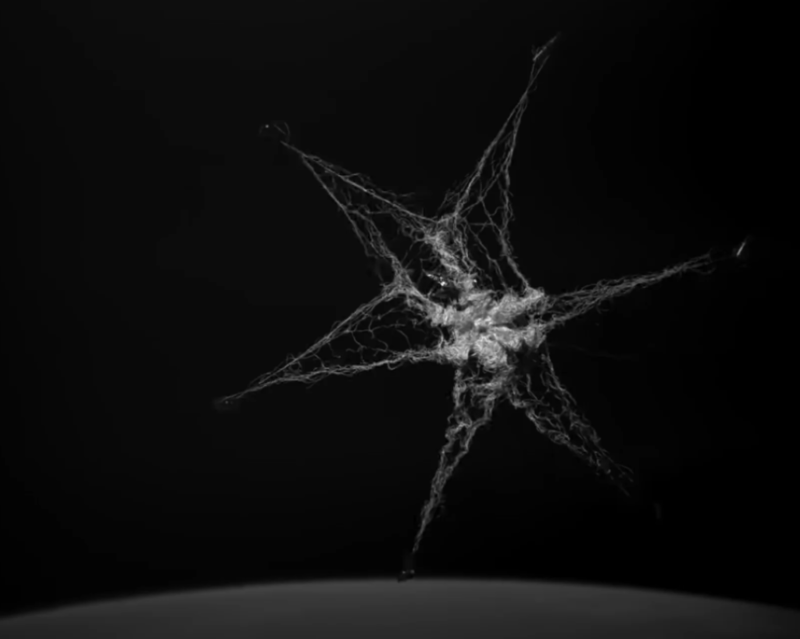 In the final version of the setup, the net would be connected to a chaser spacecraft with a tether. Once a piece of space debris is captured, the chaser would fire its engines and drag the junk into the planet’s atmosphere, where it would disintegrate. This time around, however, the tether was left out because it could have caused some unexpected complications. Specifically, engineers were worried that the satellite would rebound and hit the main RemoveDebris spacecraft, which still has some more experiments to run. “We are absolutely delighted with the outcome of the net technology. While it might sound like a simple idea, the complexity of using a net in space to capture a piece of debris took many years of planning, engineering and coordination between the Surrey Space Centre, Airbus and our partners – but there is more work to be done. These are very exciting times for us all,” said Professor Guglielmo Aglietti, Director of the Surrey Space Centre. For six years prior to launching the satellite, researchers have been testing parabolic flights in special drop towers and thermal vacuum chambers. Next, researchers plan on testing other technologies such as a vision-based navigation system that uses cameras and LiDaR technology to analyse and observe potential pieces of debris; the first harpoon capture technology used in orbit; and a drag-sail that will finally bring RemoveDEBRIS into the Earth’s atmosphere where it will be destroyed, bringing its mission to a close.